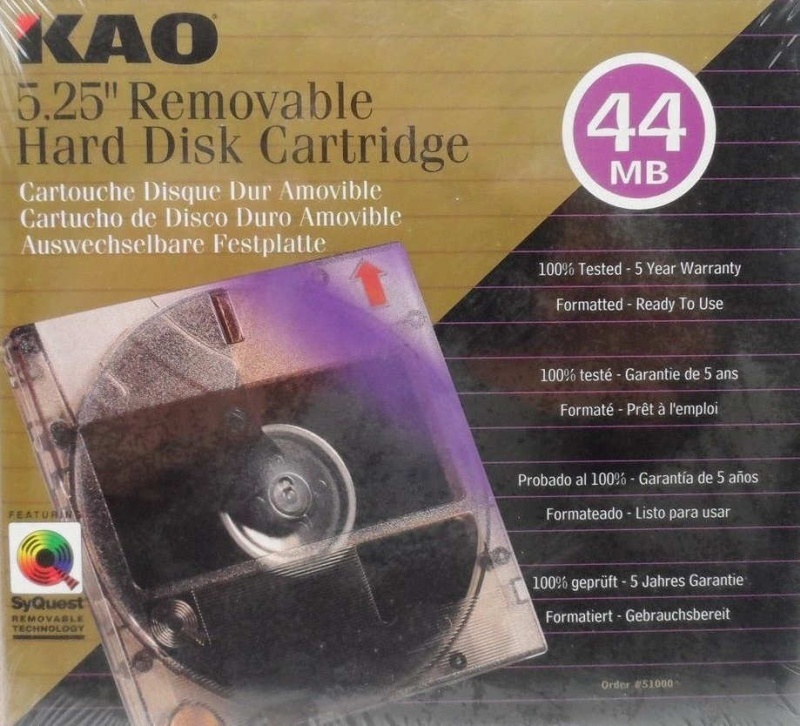 The 44MB Kao Cartridge is a clone of the Syquest disks and certified for use in Syquest drives. The disk cover describs it in several languages as Cartouche Disque Dur Amovible, Cartucho de Disco Duro Amovible, and Auswechselbare Festplatte. The disk is 100% tested with 5 year guarantee. If you need a KAO 44MB 5.25 Syquest Removable Hard Disk Cartridge service, then contact our friendly company. The 44MB Kao Cartridge is a clone of the Syquest disks and certified for use in Syquest drives. The disk cover describs it in several languages as Cartouche Disque Dur Amovible, Cartucho de Disco Duro Amovible, and Auswechselbare Festplatte. The disk is 100% tested with 5 year guarantee..